‘So this trip is a success, isn’t it?’ my husband half stated, half enquired when we left the shop (Athenaeum de la vigne et du vin). ‘Yes. So far I thought it was an awful trip, but now I’m thinking What a wonderful trip!’ I replied in a fake overly excited tone. You see, my husband always does without bookmarks. He relies on his memory to remember the page number or the passage he last read. So, as I’m sure you’ll have understood, he was taking the mickey out of my strange habit and collection. He doesn’t need these ‘contraptions’, as he would call them. Yes but when you read 10-15 books at the same time, it’s simply impossible to remember all those page numbers or passages. By the time I found the right page or passage, it would be time to go to sleep/I would be fast asleep (I mainly read in the evening)! But also, even if I read just one book at a time, I would still have a bookmark. 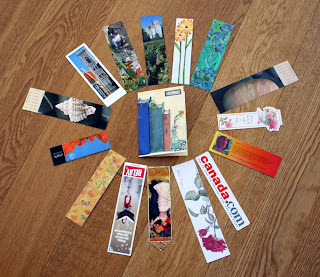 I love the various kinds of bookmarks that are now produced around the world – magnetic, long, short, narrow, wide, circular, paper-clip style, covered front and back with beautiful photographs, showcasing a quote or two – you name it. They remind me of brilliant holidays or special days out. Double pleasure when I open a book – the anticipation of reading and the memory of a place or a moment during a shopping trip. 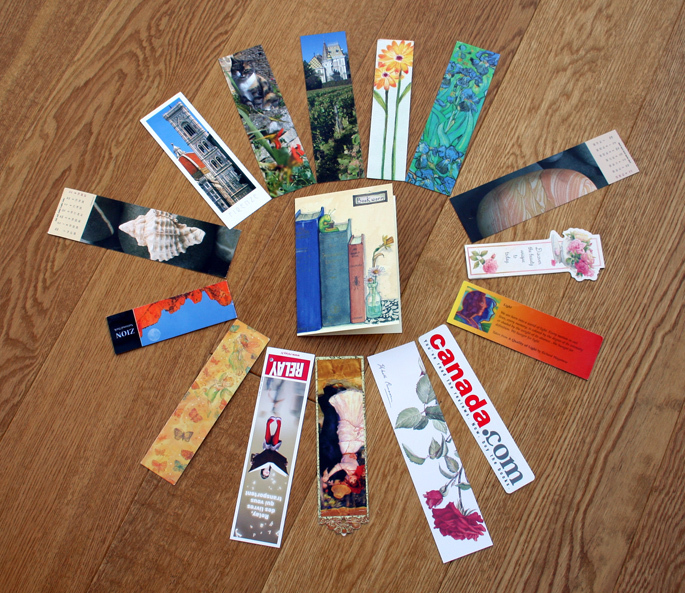 Or simply, a person – many of my friends have given me wonderful bookmarks over the years. Keep them coming!